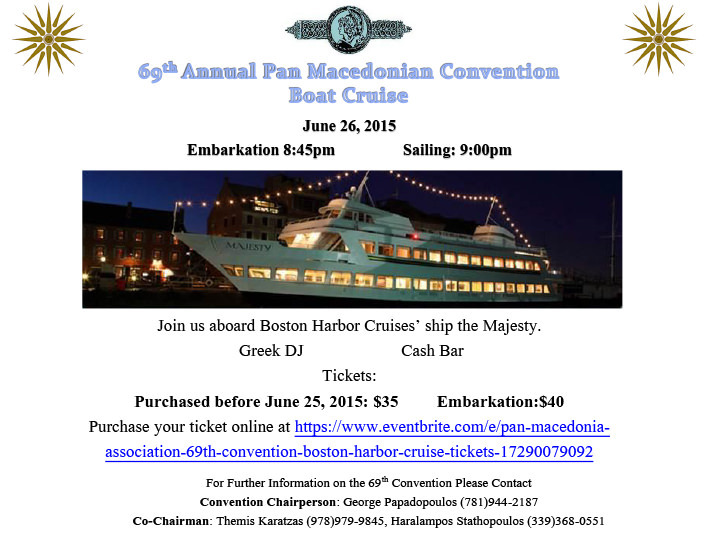 Join us on the Pan Macedonian Convention Boat Cruise! The cruise will embark from Boston’s Long Wharf for an evening of dancing aboard the Majesty around the Boston Harbor Skyline, with Greek DJ and cash bar. Tickets are $35.00 if they are bought prior to the Cruise on June 26, through the link provided below. At the time of embarkation ticket prices will go up to $40.